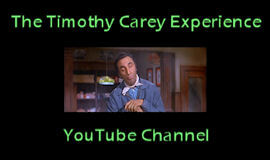 Timothy William Carey was born 87 years ago today. His corporeal form may have left us (22 years ago, two months from now), but his spirit lives on. It’s Tim’s world – we just live in it. 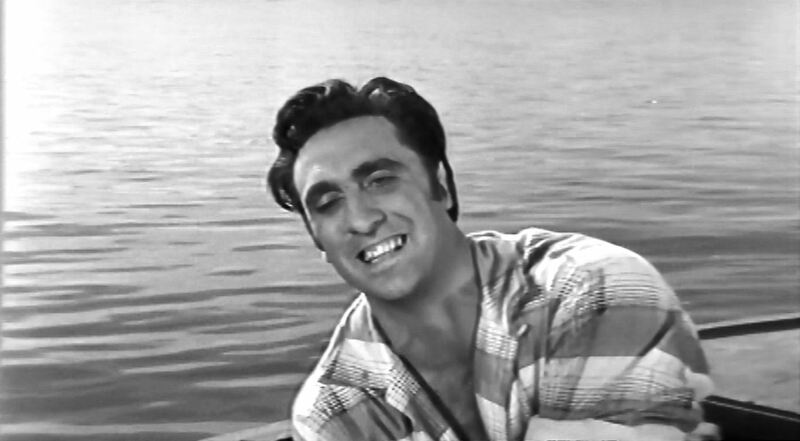 Anybody who thinks Hollywoodites are normal persons like the folks next door should meet Timothy Carey, the strangest, wildest actor of them all. Carey played the role of the creepy killer in last year’s “The Killing,” one of the best whodunits of many a season. In person he is creepier and makes Marlon Brando and Jack Palance look proper as Sunday school teachers. A Mobile, Ala., theater man [M.A. Ripps] who saw the picture got so excited over Tim that he produced his first movie, “Bayou,” in order to star the 24-year old [more like 27] Carey. 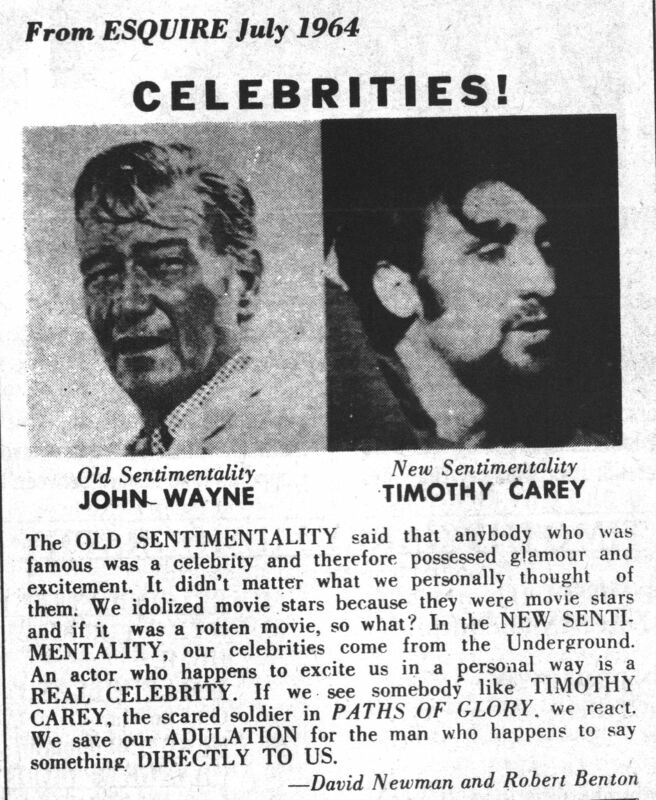 Tim gets special billing in his next picture, “Paths of Glory,” starring Kirk Douglas. But before this success were years of troubles, apparently because of his inhibited [sic – this must be a typo, surely they meant “uninhibited”] behavior.